Owning a commercial property or being responsible for its upkeep can be quite challenging. Cleaning is a crucial part of the maintenance regime for any commercial property and the primary cause for regular services is the number of visitors and traffic that makes its way into the building. We at Australian bright services have tailored our commercial cleaning service Sydney to deliver the most effective cleaning in the business. Our team of experts understands the challenges of cleaning a commercial space and maintaining the cleanliness long term. Whether you book our services for a routine cleaning or after regular intervals, we customize our commercial cleaning service Sydney to ensure that the place stays impeccable looking for an extended amount of time. Our services are delivered to our clients based on either a thorough analysis of the place beforehand or the directions listed by our customers during the booking process. Our experts canvas the entire property from one corner to another and initiate the cleaning procedure according to plan. We prioritize the use of safe cleaning methods that allow us to keep the environment safe while we deliver the highest quality of service. Do you have stained floors? Carpets? Window sills? Tiles? We have the solution for it all. The team that arrives too delivers commercial cleaning service Sydney will discuss the timeline of the service being rendered. In case you want a recently renovated place cleaned, most commercial properties can be cleaned in a day’s work. Our experts are trained to work around the work activities being carried out and carry their own resources to avoid any disturbance. Our commercial cleaning services are designed to remove dirt, dust, debris, grease, any manufacturing raw materials and anything that should be recycled from the premises. From bathroom sinks to floors, to tubs and even the mirrors; our experts will not only clean but subsequently sanitize the entire area too. We deliver services using high pressure cleaning Sydney for difficult to reach areas and the outer portion of buildings. We use the latest technology and machines to deliver targeted cleaning. The nozzles and pressures are adjusted according to the need of the property and at temperatures that preserve the integrity of the structure. High-pressure cleaning is one of the most effective and environmentally friendly cleaning methods if done right. Our experts are continuously trained to use these resources in a manner that leaves your commercial property looking clean, fresh and impeccable. 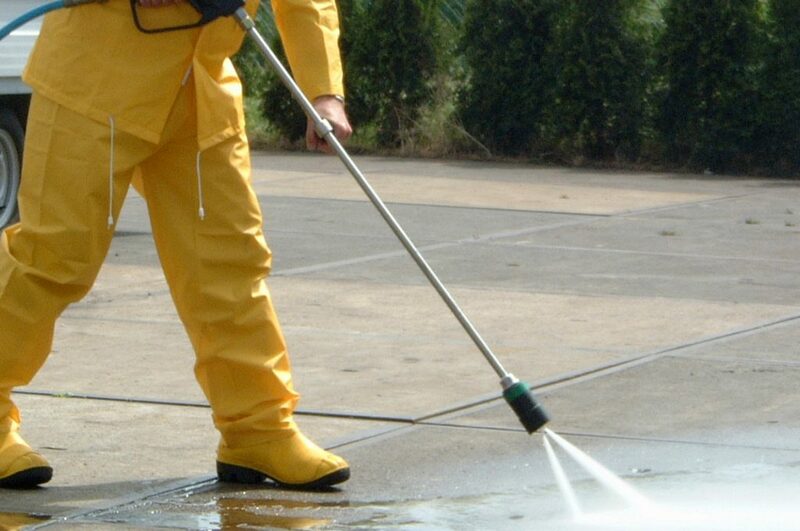 We promise quality high-pressure cleaning Sydney and strive to deliver it. If you haven’t tried our commercial cleaning services yet, you can give us a call to discuss your concerns with us. We are happy to assist you with your queries and give you a detailed picture of what to expect. We have designed our prices to be budget friendly and in line with the market prices. Book us today to get the best cleaners in the business.